What Are the Benefits of Hydrangea Root Herb? Hydrangea is an ornamental and medicinal plant native to North America, South America and Asia that has been used for the treatment of urinary tract and prostate disorders in traditional Chinese medicine and by Native American tribes of North America. The Nepalese use hydrangea root, which contains several active alkaloids, to treat colds and indigestion. Recently, Western studies have identified that hydrangea root has autoimmune treatment properties, according to website HolisticOnline.com. Prior to using hydrangea root to treat health disorders, consult a qualified practitioner. The hydrangea plant, which means water-vessel in Greek, is aquatic and can grow upwards of 9 feet tall. 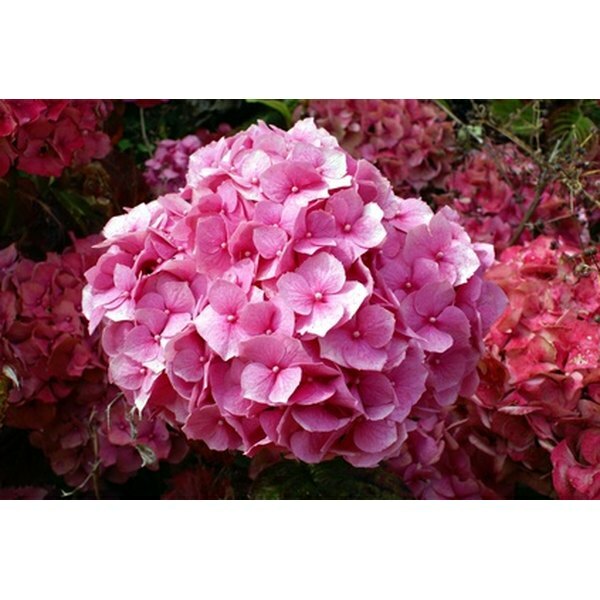 Hydrangea is also known as "seven bark" in reference to the many variously colored layers that encase its root. The parts of this plant used medicinally are the dried root, rhizome, and leaves. Hydrangea has been used for hundreds of years in folk medicine for the treatment of urinary tract infections in the bladder and kidneys, wounds and prostate disorders. There are several anecdotal and scientifically supported medical uses associated with hydrangea root. In 2009, researchers discovered one of the root's active components, halofuginone, fights autoimmune disorders while still allowing the immune system to function normally. This discovery, in a study published in "Science," one autoimmune disorder the treatment is used for is scleroderma, a potentially fatal disease that causes excess collagen production, which can lead to disfigurement, according to Doctor's Guide. Anecdotal reports indicate hydrangea treats the following disorders: malaria, enlarged prostate, kidney stones, blood sugar imbalances and male pattern baldness. The discovery that hydrangea is effective as a treatment against autoimmune disorders is considered a major breakthrough by research scientists because every other autoimmune treatment suppresses the body's immune system, which can lead to serious infections, according to the study's lead author, Harvard Medical School researcher Mark S. Sundrud, Ph.D. There are a significant number of autoimmune disorders hydrangea may have the ability to treat including multiple sclerosis, lupus and rheumatoid arthritis, reports Doctor's Guide. "This is really the first description of a small molecule that interferes with autoimmune pathology but is not a general immune suppressant," said Sundrud. Hydrangea root is used in a variety of forms including powder, liquid extract, syrup, tincture and tea. Recommended doses include the following: 2 to 4g dried hydrangea root three times per day; 2 to 4 ml liquid extract three times per day; 2 to 10 ml hydrangea tincture three times per day; and 2 to 4 tsp dried hydrangea root steeped in a cup of boiling water for 10 to 15 minutes three times per day, according to Health.com. Prior to using this and all herbal treatments, consult a health practitioner. Caution is advised when using hydrangea. Hydrangea may add to the effects of blood sugar balancing, antifungal, anti-malarial, antihistamine and cholesterol-lowering drugs, and drugs taken to prevent. Pregnant or breastfeeding women should not use hydrangea root medicinally. Discuss hydrangea treatment with a qualified health practitioner prior to its use. What Are the Benefits of Mullein Leaf? What Are the Health Benefits of Mallow? What Are the Health Benefits of Licorice Extract?